STILL ACCEPTING BACK UP OFFERS! This private residence must be seen to appreciate the care and detail. 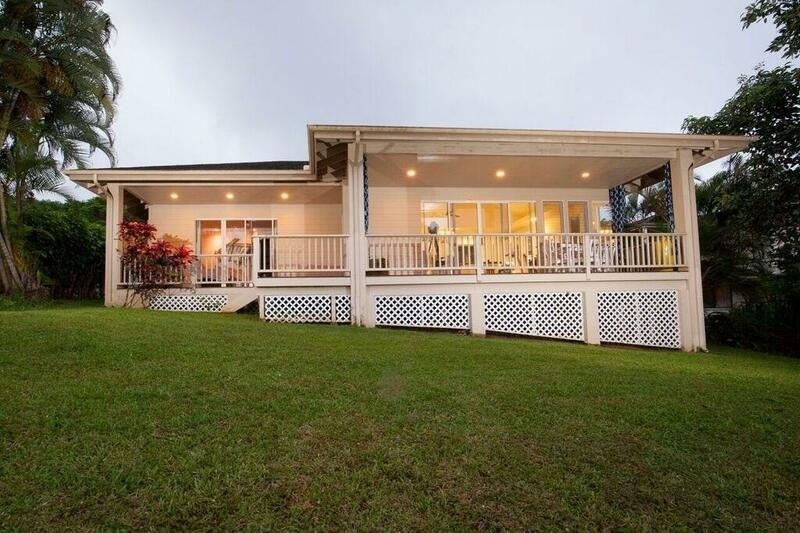 OUTSTANDING PRINCEVILLE PROPERTY. At Almost 1900 SQUARE Feet this 3 bedrooms and 3 baths custom home is stacked with added value. The spaciousness is enhanced by high ceilings and covered Lanais that span over 800 square feet and 270' of unobstructed views this beauty is a charmer. Located on a very quiet cul-de-sac with a large raised driveway lined in palms brings you up to a beautiful home with brand new double entry doors, an oversized garage, a well landscaped lot with mature plantings and fruits trees. Open, bright and airy with high ceilings and lot of large sized windows. Every facet of the property has been touched up or upgraded. Recent upgrades include a brand new flooring, Ceiling fans, baseboards appliances and comes with Mitsubishi Air conditioning in every bedroom. Brand new Interior Paint throughout the entire house. 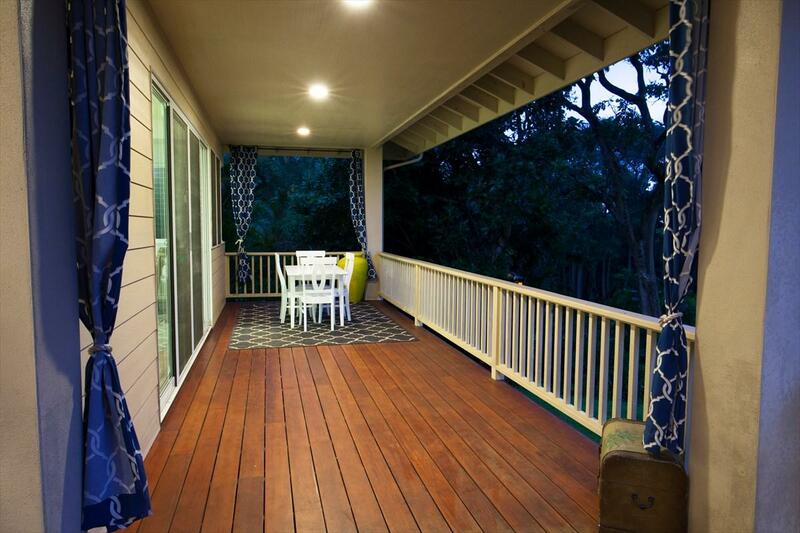 Nest security system and completely refinished Ipe decking this home shows like a model! 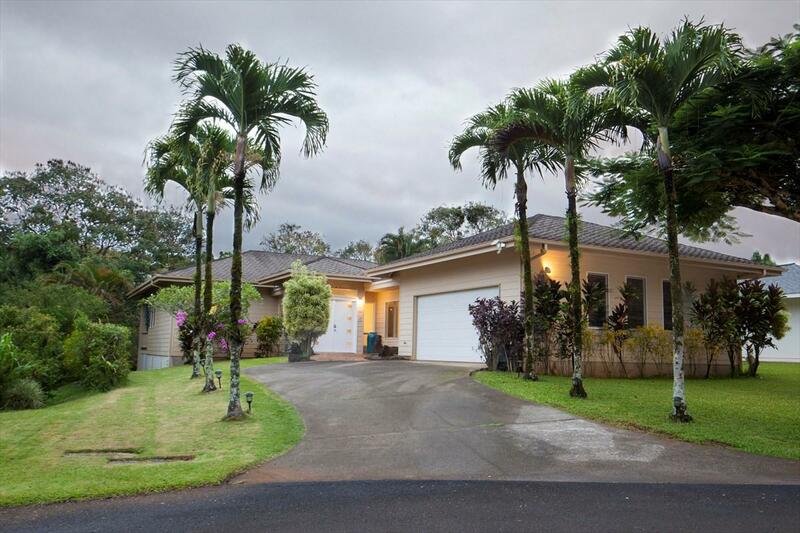 Enjoy a private and gated entrance to the Princeville shopping center to the convenient Foodland, restaurants, post office, banks, community center park and more! The Makai Golf Course, tennis, parks walking trails and some of the most beautiful beaches on Kauai are a few minute drive away. 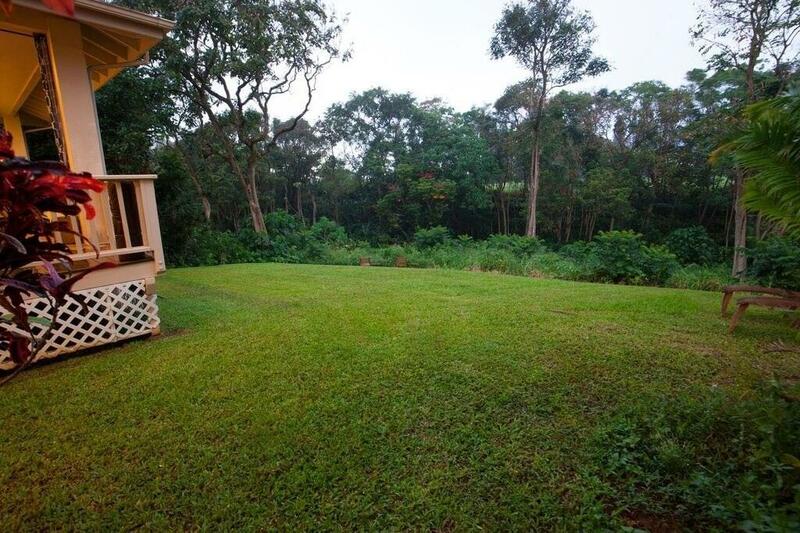 This property will make an excellent primary residence, second home or vacation rental.